Whatsapp is used by more than 12 million users on a daily basis. It's only natural that WhatsApp is trying to amplify their functionalities. The messenger application company has introduced new features which you could try out as a Beta tester/ Beta user. These will be however available for all users once the newest feature updates are available on the Google Play Store. You can enroll in its Beta user program to use these features. It is a testing method used by companies other than conventional alpha testing programs carried out by their seasoned coders. This allows the company to understand what the end user really demands and enjoys as features. This allows the company to grow their business by growing features as per consumer needs. Early access to exciting features before the world of traditional users do. Many a times you might have come across a situation where you needed to send a message to an unknown number. This requires saving the contact first, which is unnecessary for business professionals usually. The users can now enjoy establishing communication using special links. Move over one-to-one audio calling, multiple audio calling is here to entertain you. The total number of users which can be connected on a single group calling might vary post-release. Facebook being it's parent company has already been working on this feature for a very long time now. This feature is expected to serve you after it's deemed glitch free. 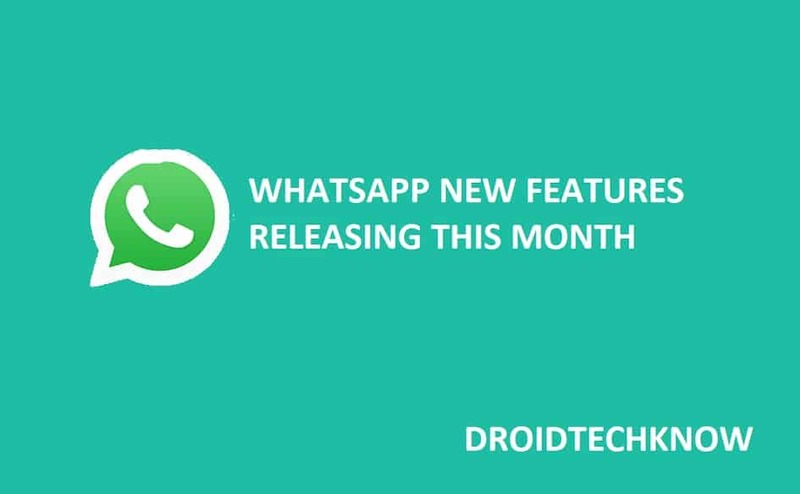 We remember the network issues WhatsApp faced with call drops and we expect nothing like this for this new release. You can select all the unread messages at ones in order to delete them or change the status of seeing these messages. You can even delete these in one go once selected. 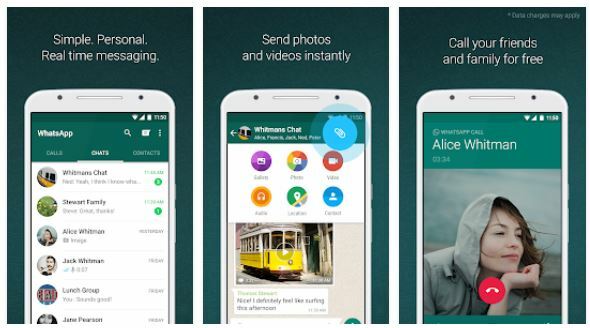 This can be a sneaky feature, and Whatsapp is expected to release it. However, the status of actually having this feature released is unknown. Mother company Facebook has rolled out this feature as seen on its own website, by the name of stories. It gives the user an experience of viewing the stories of Facebook and Instagram directly from the WhatsApp application, without switching to-and-fro between applications. The multimedia and video playback is seamless and is directly from Whatsapp application itself. This is handy because the trifecta could mean the same features for all the three applications one day. This being useful or redundant is up to users to decide. This feature celebrated by iOS users is now available for Android users finally. This is going to reduce storage space on your device. How it is implemented is quite easy. To begin with, you will have the liberty to select which multimedia files must be displayed in your gallery. This automatically cuts down storage requirement, which we know is precious on its own. If you ever wonder what your account details are, this feature is confirmed to be of use. A report which unlike account details like phone number and status, is a high-density and information-rich report which you can download. Typically the information will be available for download after a 3 days generation process. It is a feature called request info which will allow you to download all the data such as the groups you are in and your profile picture etc. If scheduling and being a pre-planner drives you, this feature is another important update. You can schedule when certain media files (specifically pictures) will be sent over some chats. This works in a way where the pictures to be sent, are already uploaded to the WhatsApp server and are automatically released, rather sent on chats, on the time and date set by the user. This will help the users schedule some multimedia messages. Think of searching something on Google and having to navigate to page 2 or page 3 of search results because the result wasn't on the first page in the first place. It is as annoying as having to search some keyword within a chat. Chat filtering allows users to search using filters to with the designated keyword. This will make the process of searching the messages easier based on certain filtering parameters. Having the trouble of creating a group and maintaining one can be a challenging task. To facilitate this process for admins and make their tasks easier, this feature allows multiple control settings that the group admin can make. The admin will be capable to select what users can make changes in current group information, (the new description features of what the group is about), and the group display picture.